The star-spangled workout that US celebs swear by has landed in London. But is it any cop? Tracey Cooper from thebrunettethatsweats.blogspot.co.uk gives us her verdict. Having spent years pouring over pictures of The Kardashians, Jessica Alba & Katie Holmes being papped coming out of Barry’s Bootcamp Stateside, when news that Barry was bringing his celeb-endorsed workout regime to London hit the fitness world grapevine last year, I was beyond excited. In case you’re not familiar with Barry and his Bootcamp, let me explain. 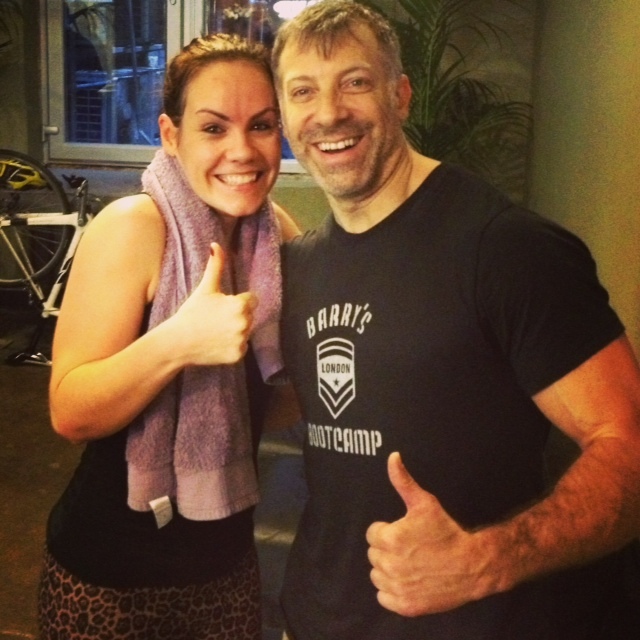 Barry’s Bootcamp claims to be, and I quote, “The best workout in the World”. That’s big talk from the man with the big guns. The Barry brand is a huge deal. Over the years, Hollywood’s finest have been getting fast results from these guys and I wanted in. Fast forward to January 2013 and Barry’s Bootcamp rolled into town and, although it didn’t need much encouragement from me, the PR was whipping up a frenzy. With the first set of classes being launched at midnight, it made us obsessives feel like we were part of a secret late night club. I opted for the Full Body Workout with the main man himself, actual Barry Jay was going to be taking the class, my giddiness went off the scale. So on a wet Sunday morning, I hauled myself out of bed at 7am for my ‘date’ with Barry. From the outside, apart from the sign swinging above the door, you have little idea about what is going on beneath the Euston Road but believe me, it’s worth a visit. The space has a modern, almost industrial New York feel, complete with a juice bar & swanky changing rooms complete with lotions and potions, not to mention the beautiful people floating around selling the Barry dream. All the action happens in one gym area, which I afterwards fondly renamed the Torture Chamber. Full body workout follows the popular H.I.I.T.style (high intensity interval training) where we combined treadmill work with weights & floor exercises. As with lots of bootcamp formats, you get out of it what you put in. 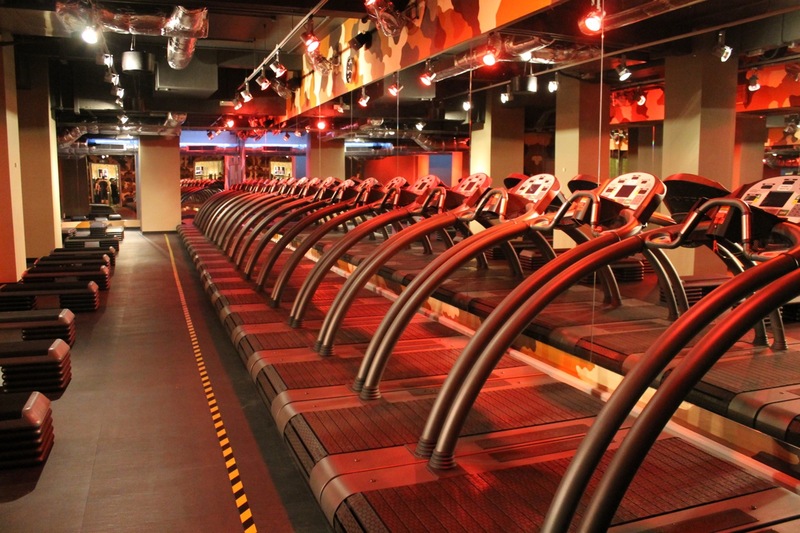 I thoroughly enjoyed the combination of exercises and loved the hi-tech treadmills – I’m still recovering from the treadmill setting that meant we had to power the belt using our leg strength. The music is loud, the lights are low & the sweat pours, I can see why the big names love the Barry way. It’s not intimidating either because you can work at your own level, you set the treadmill speed and you pick the weights you lift. As well as the all over workout, the timetable offers classes that focus on different parts of the body on certain days of the week. The classes are at a premium price, even by London’s standards, but with their reputation and classes run by super fit professionals, I can see why. Lots of others can too, my 8.45am Sunday class was full. I must have bought into the dream, I signed up for another class, abs and arms next! It’s a tall order but let’s see whether Barry’s team can sort out my bingo wings! So Londoners, get in quick and treat yourselves. This is a brand that definitely lives up to the hype. Next articleQ. What would happen if a Swiss ball and weights bench got it on? Tight hamstrings? Aching quads? This yoga sequence for runners from Ashtanga teacher Sarai Harvey-Smith is here to help.